is America's Hottest New Party Game! your family and friends, then it's time to throw a Spontuneous Party! Have you ever heard a word that "triggered" you to sing a song? player says a word and the race is on for the others to sing a song containing that word. Don't worry though, talent is NOT required! It's really this simple: One player (Tunesmith) says a word and the others race against each other and the clock to try and blurt out a 5-word portion of lyrics from any song containing the given Trigger-Word! The player who begins singing first, gets to roll the dice and advance around the board! If nobody can sing a song, the Tunesmith must be able to back it up with a song of their own, or else they roll both dice and move backwards. As players advance around the board, certain spaces will require them to draw a Spontuneous Card and attempt the crazy challenge! Whoever reaches finish first and completes the final challenge, wins the game! 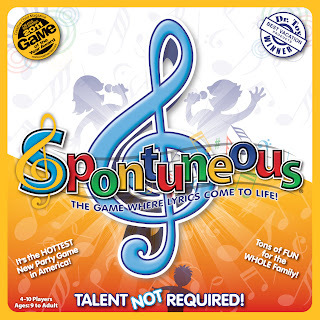 Spontuneous is a GREAT family game! It makes for a fun filled night of thinking and laughing. My Family and I love this game! 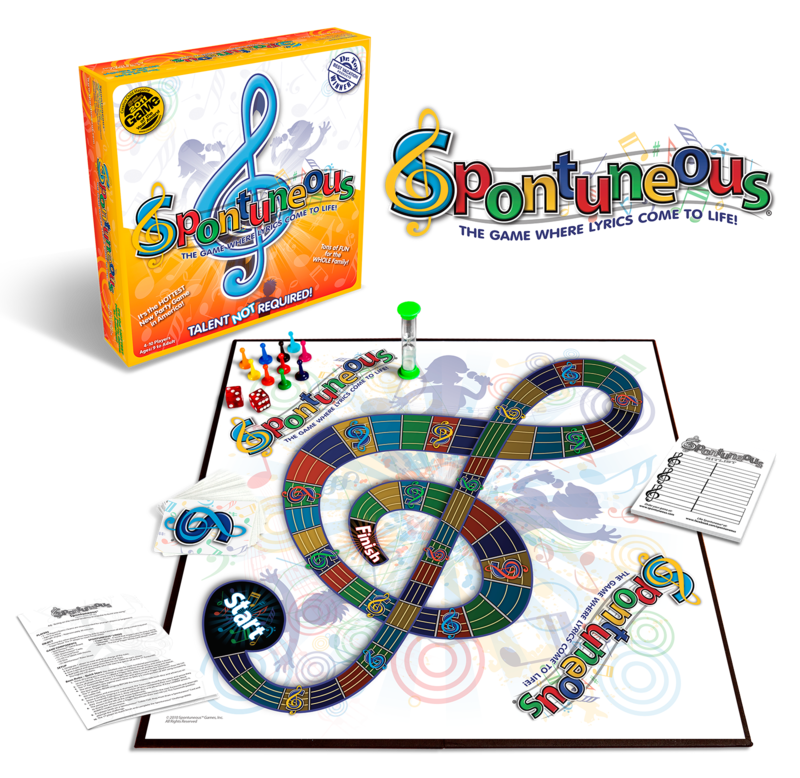 LOVE~ " I will always love you"
TIME~ "One moment in time"
Want to play @Spontuneous with inventor, Rob R? Rob will also play Spontuneous with you if you tweet or Facebook a word to him? Purchase Spontuneous HERE for your family or enter below to win one! Giveaway~ The wonderful President of Spontuneous has offered one reader of Dnbuster's Place a chance to win a Spontuneous game! to be qualify to win Enter via raffle copter form below. 1 winner will be drawn by noon March 21st. Winner will win a Spontuneous Party Board Game! disclosure~I was sent a SPONTUNEOUS game for the purpose of this review! Hmmm.... I think the last song I sang was "Good Morning Beautiful" by Steve Holy. I also recently sang the National Anthem. kristiedonelson(at)gmail(dot)com Thank you.